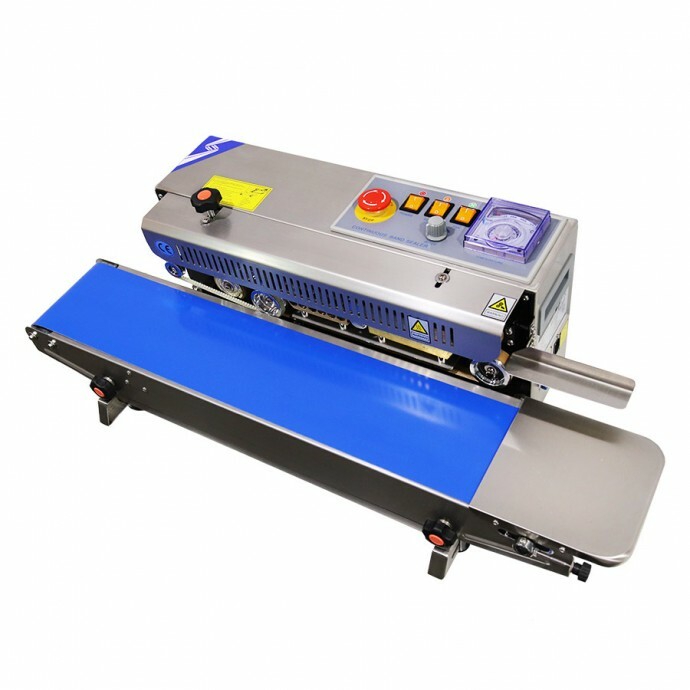 - Fully Adjustable to Conveyor: Vertical - 1.25" / Horizontal - 2.625"
The RSH1525 Horizontal Tabletop Band Sealer can quickly and efficiently seal small bags made from a wide variety of materials. 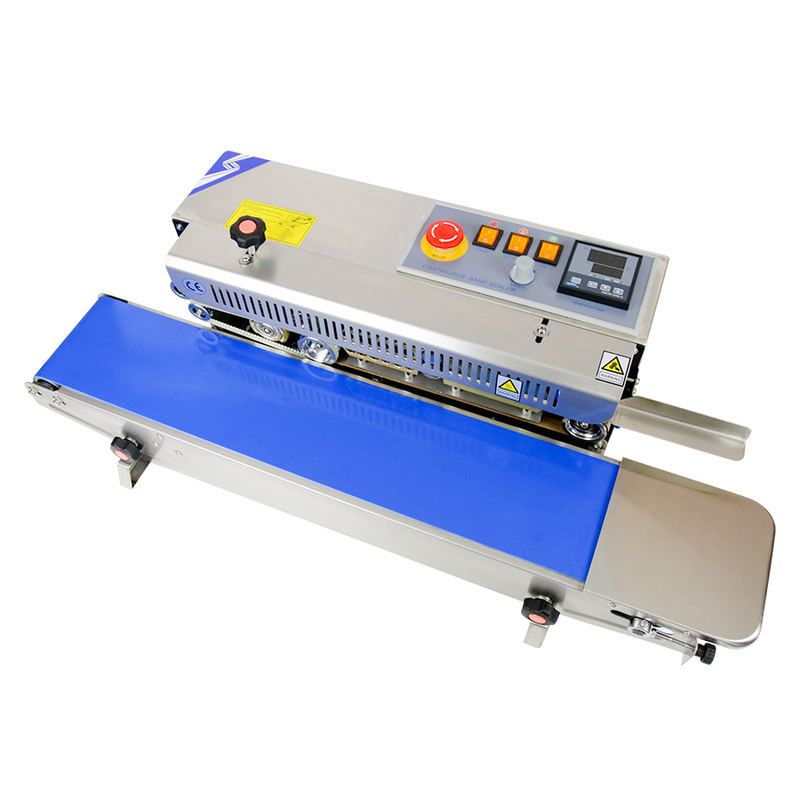 The ability to control temperature and conveyer speed makes this band sealer ideal for both small and large projects. 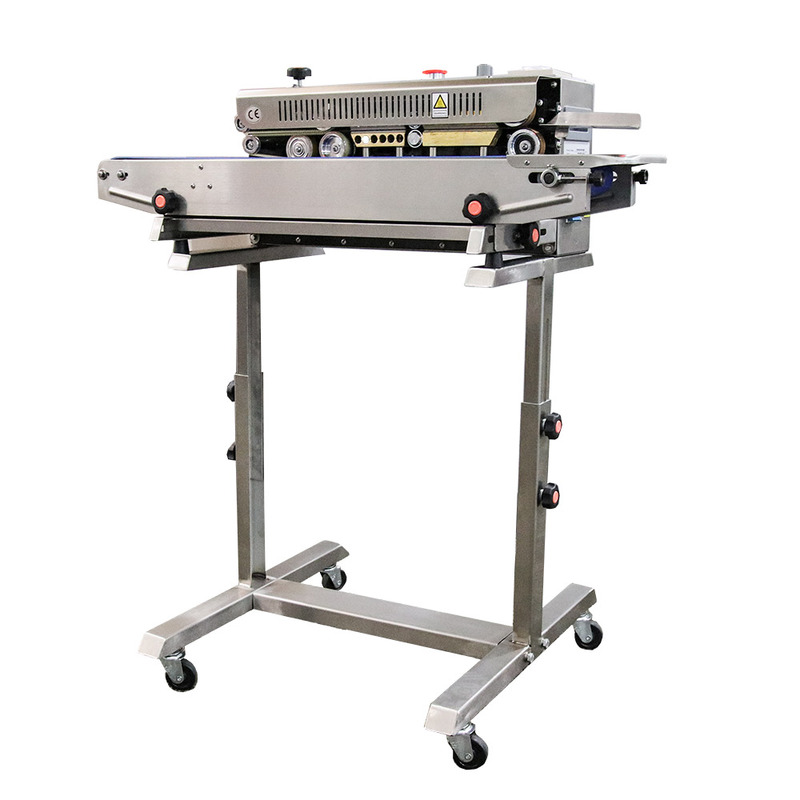 At 32" long, this sealer can easily be set up anywhere and storage is never a problem, even in small areas. The embossing attachment is perfect for adding personal touches to your products, whether it be an expiration date, Lot number, company name, or part number. 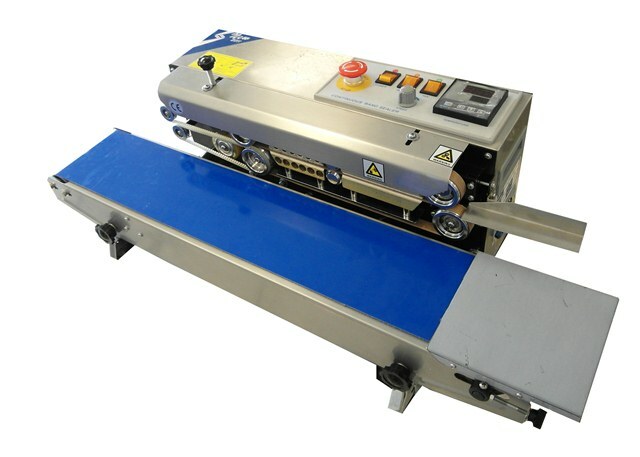 Our RSH1525 Band Sealers can be configured for either vertical or horizontal operation. 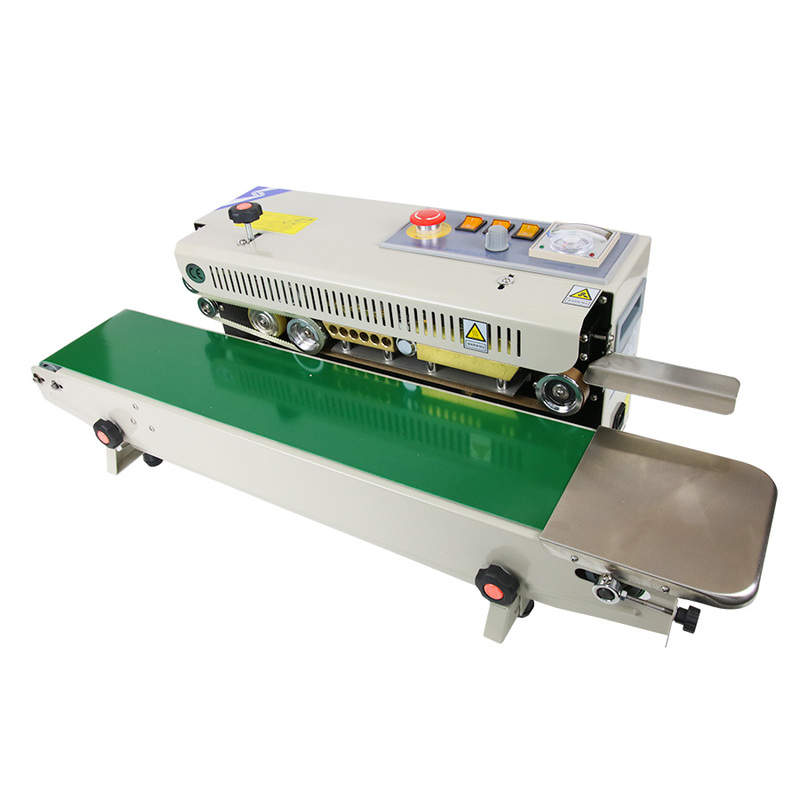 Each comes with a retro-style control gauge for setting temperature of the sealer element. Need something more accurate? Order the RSH1525 “D” (P/N: RSH1525D) edition, which comes with our very accurate digital temperature gauge. Sealing Speed 0 - 12m/min. ; 0 - 320"/min. Sealing Width 6 - 12mm; min: 1/8" - max: 5/8"
Machine size 32" x 15.75" x 11"